Miss. 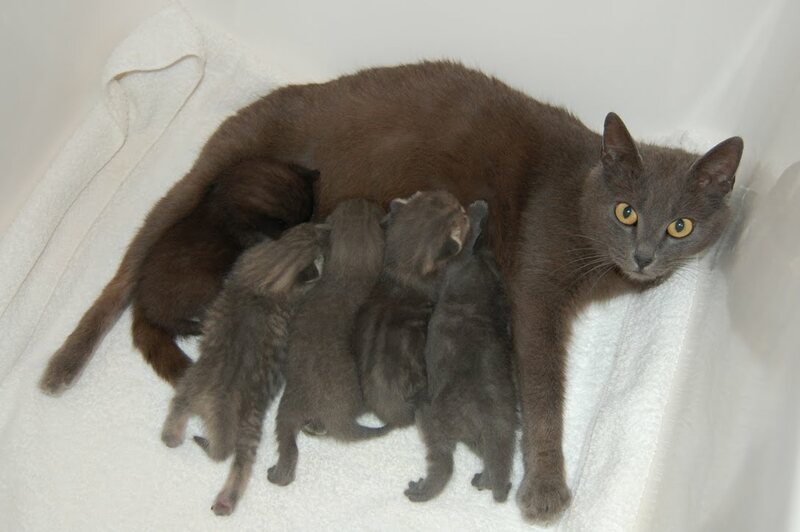 Tuesday and Her Kittens: It's a Boy! And a Boy! And a Boy...and a Boy...and Another Boy!!! It's a Boy! And a Boy! And a Boy...and a Boy...and Another Boy!!! We have FIVE boys! What are the chances? I guess Ginger did have a pretty good handle on that diagram after all. My husband and I are interested in possibly adopting two if the kittens! Hopefully we will be in contact in the next week to meet them. That's wonderful, Meghan! You can email me at glrnixon@gmail.com.